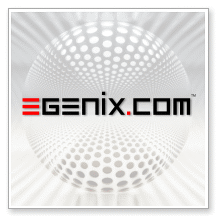 eGenix.com™ is a privately owned German limited company (GmbH). We have been in business since 2000, serving customers and clients around the world with our high-profile Python skill set, implementing and leading their projects to success. eGenix specializes in database and communications driven applications of all sizes. We have implemented complete VAT collection solutions for governments, as well as helped in small consulting projects to port existing applications. In case you wonder: our company name eGenix is a play on electronic generation of information exchange and describes the core of what we do best. Marc-André has been active in the IT business for more than 30 years. He worked as core developers of the Python programming language for many years, during which he designed and implemented major parts of Python's Unicode support. He worked with Python since 1994, is one of the founding members of the Python Software Foundation (PSF) and served on the PSF Board as director several times. Marc-André is an expert in large-scale Python application design, Unicode and managing remote development teams. Today, Marc-André runs eGenix.com and advises companies investing into Python technology and how to best structure and manage their projects and product development to make this investment a success. You can also visit his blog for more background information. In general, our customer base covers many different industries, such as IT, insurance, airlines, finance, chemicals, automobiles, as well as universities, schools and governments and, of course, a long list of companies working on and for the Internet.